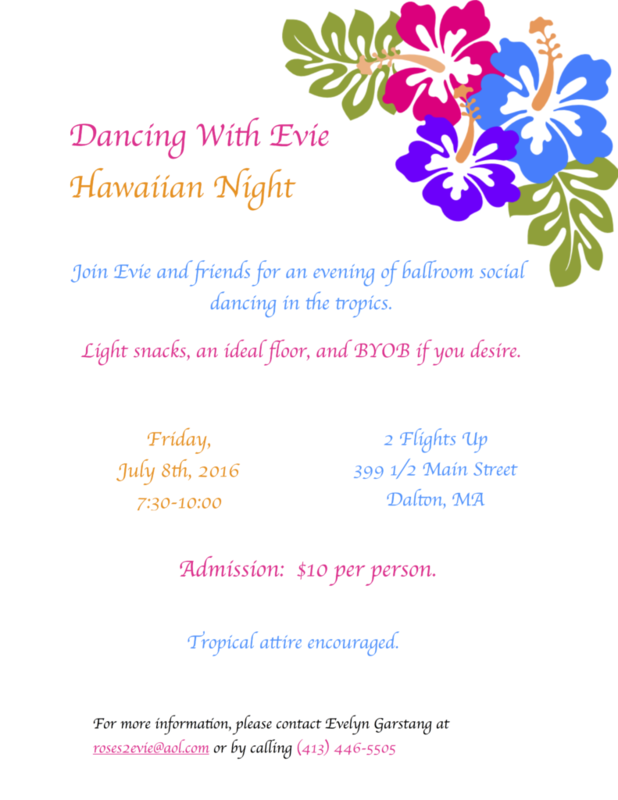 Freestyle Couples Dance Social including Lessons! Posted on May 24, 2016 by Jeannie Compter | Comments Off on Freestyle Couples Dance Social including Lessons! from ultra beginners to advanced dancers. Comments Off on Freestyle Couples Dance Social including Lessons! Daffodils 2 Flights Up is the Berkshires’ dedicated “Paint & Tea” studio located in Dalton, MA. We offer guided painting and afternoon tea with sweet delicacies. If you don’t like tea, you may bring your own drinks and snacks (including wine and beer). 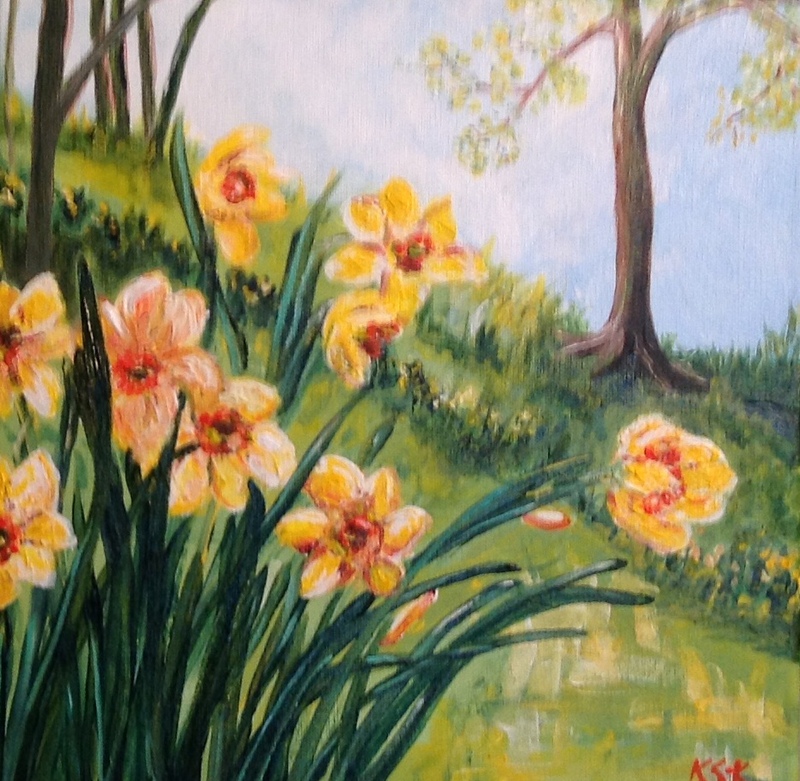 Our Classes are taught by local artist Kathy Stocking-Koza. Our classes are designed for all skills levels… no artistic experience necessary! 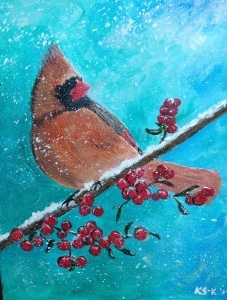 Pre-registration is preferred; mail your checks to 2 Flights Up ATTN: Jeannie Compter 399 1/2 Main Street Dalton MA 01226 Please make the checks out to Jeannie Compter and in the memo field put “paint class” and the date of the class. You may walk in the day of the class, but there is no guarantee that you will get a space unless you call ahead and get the ok. Paying at the door the day of of the class will incur a $5.00 up charge. 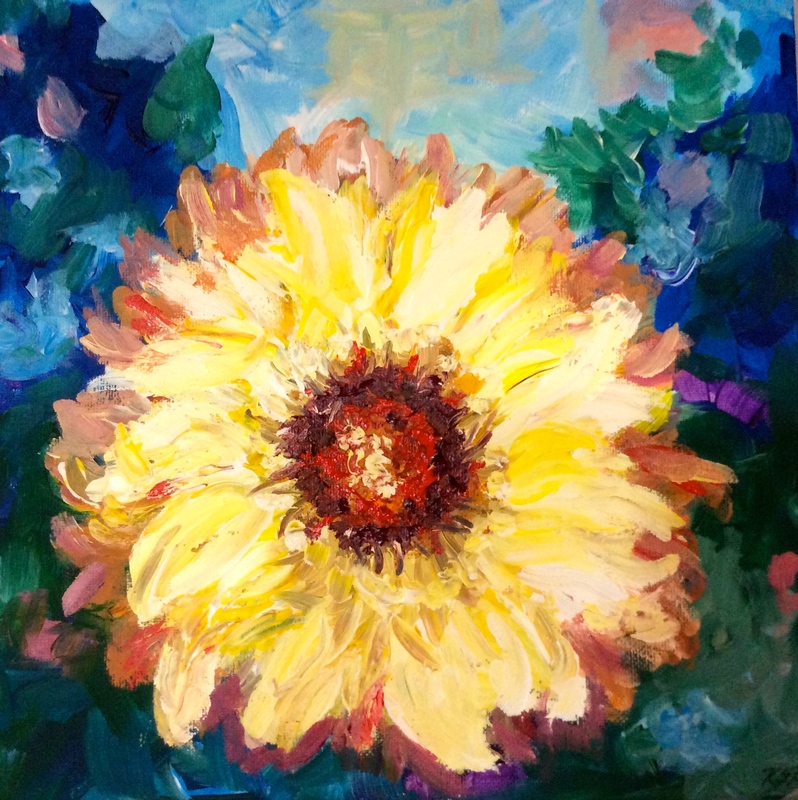 Our fee covers everything from paint to canvas and tea to desserts. Our classes end at 4 pm, but if you need extra time we will stay a little longer. We also offer private classes at our studio or at your place for your special events. Call 413-281-4893 and talk to Jeannie or email Jeannie@2FlightsUp.com and ask about our specials. Spring Crocus 2 Flights Up is the Berkshires’ dedicated “Paint & Tea” studio located in Dalton, MA. We offer guided painting and afternoon tea with sweet delicacies. If you don’t like tea, you may bring your own drinks and snacks (including wine and beer). 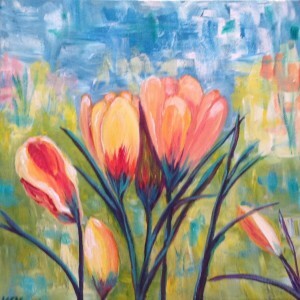 Our Classes are taught by local artist Kathy Stocking-Koza. Our classes are designed for all skills levels… no artistic experience necessary! 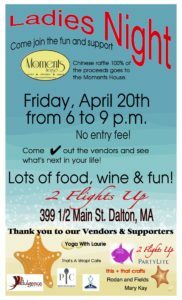 Pre-registration is preferred; mail your checks to 2 Flights Up ATTN: Jeannie Compter 399 1/2 Main Street Dalton MA 01226 Please make the checks out to Jeannie Compter and in the memo field put “paint class” and the date of the class. You may walk in the day of the class, but there is no guarantee that you will get a space unless you call ahead and get the ok. Paying at the door the day of of the class will incur a $5.00 up charge. Our fee covers everything from paint to canvas and tea to desserts. Our classes end at 4 pm, but if you need extra time we will stay a little longer. We also offer private classes at our studio or at your place for your special events. Call 413-281-4893 and talk to Jeannie or email Jeannie@2FlightsUp.com and ask about our specials. Sunflower 2 Flights Up is the Berkshires’ dedicated “Paint & Tea” studio located in Dalton, MA. We offer guided painting and afternoon tea with sweet delicacies. If you don’t like tea, you may bring your own drinks and snacks (including wine and beer). 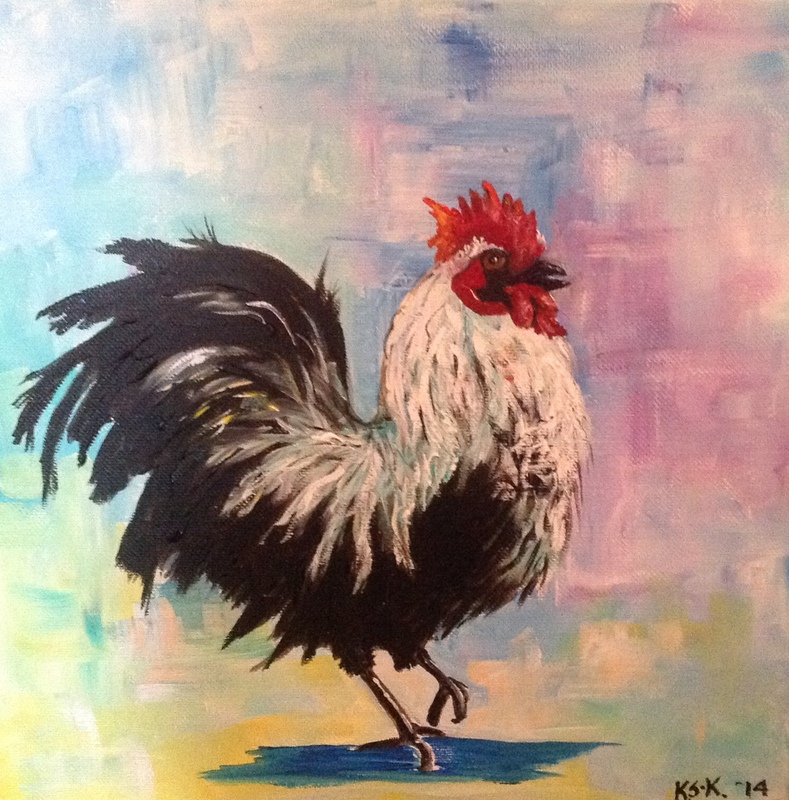 Our Classes are taught by local artist Kathy Stocking-Koza. Our classes are designed for all skills levels… no artistic experience necessary! 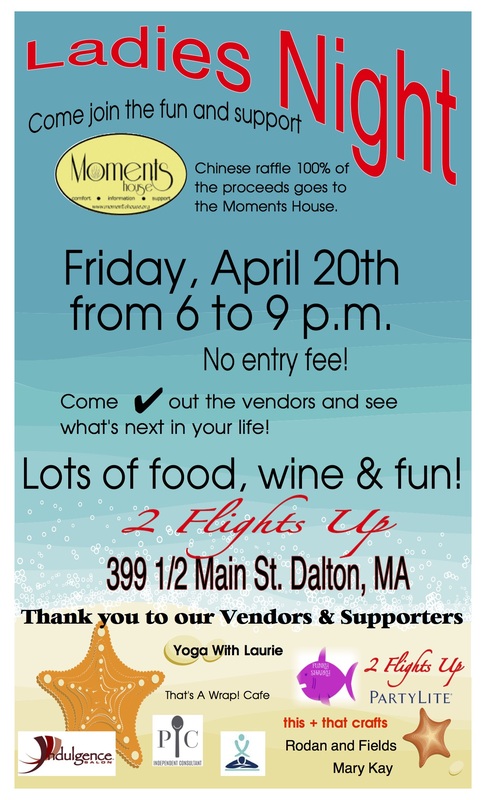 Pre-registration is preferred; mail your checks to 2 Flights Up ATTN: Jeannie Compter 399 1/2 Main Street Dalton MA 01226 Please make the checks out to Jeannie Compter and in the memo field put “paint class” and the date of the class. You may walk in the day of the class, but there is no guarantee that you will get a space unless you call ahead and get the ok. Paying at the door the day of of the class will incur a $5.00 up charge. Our fee covers everything from paint to canvas and tea to desserts. Our classes end at 4 pm, but if you need extra time we will stay a little longer. We also offer private classes at our studio or at your place for your special events. Call 413-281-4893 and talk to Jeannie or email Jeannie@2FlightsUp.com and ask about our specials.